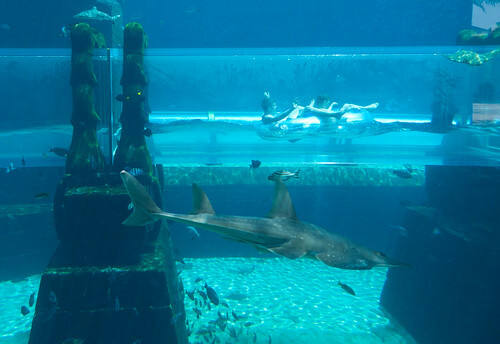 Situated in the mind boggling Atlantis Hotel in Dubai, this is a fabulous place to entertain the kids. There are 42 acres of fun stuff to do. The park has different areas for different ages including an area for younger children with safe water slides and room to run around.Those who prefer to take it easy can lie in one of the hundreds of sunbeds (complete with shades) and take in the fun. The adrenalin boosting water rides include The Leap of Faith which is a virtually drop 9 stories high into a shark filled lagoon. The sharks are safe as the ride is in a tube. Its all very exciting – there’s a fabulous beach and a dolphin experience if the slides haven’t provided enough entertainment! The water park in Florida is a popular attraction in the US which has a myriad of water coasters and a ;Crush and Gusher Water Coaster. This hair raising ride includes drops of 420 feet and thousands of gallons of water pumping the ride along. Watch out if you find Miss Tilly – the abandoned boat as she spurts gallons of water every thirty minutes. The humidity in Tokyo can be stifling and there is no further excuse needed to buy a ticket to one of Tokyo’s water parks. This particular park has the unusual experience of swimming with a robotic dolphin – who could resist? 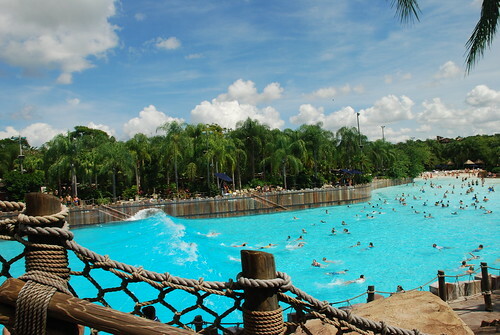 There are various thrills to be had on water slides and a great selection of swimming pools to cool off in. As well as being the UK’s top theme park, the recently opened water park gives people aqueous fun when the sun has stopped shining. There are lazy rivers for a more sedate ride, as well as the Master Blaster water Coaster which is not for the feint hearted. There is an outside area if the sun is shining but there are plenty of things to do if the sun has failed to show up. Alton Towers can be a little tricky so take your own car for speedy access. The south of France can be quite a hot place for kids (and adults), especially in the Summer months. 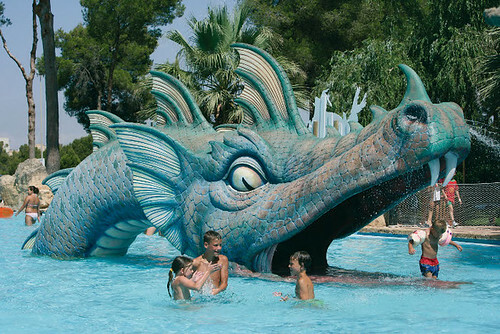 The Aqualand park is the biggest in Europe and gives plenty of opportunities for a cooling splash or two. King Cobra is an utterly terrifying ride that sees the rider being spewed from the mouth of a giant serpent. 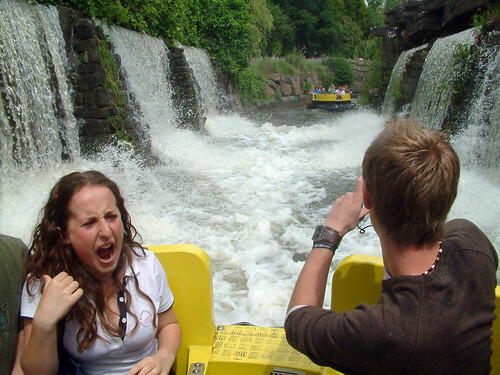 It is as terrifying as the Black Hole – a ride that takes the rider into a petrifying black nightmare. The rides here are fast and furious but there are a few more chilled out rides and places to sit without fearing for your life! 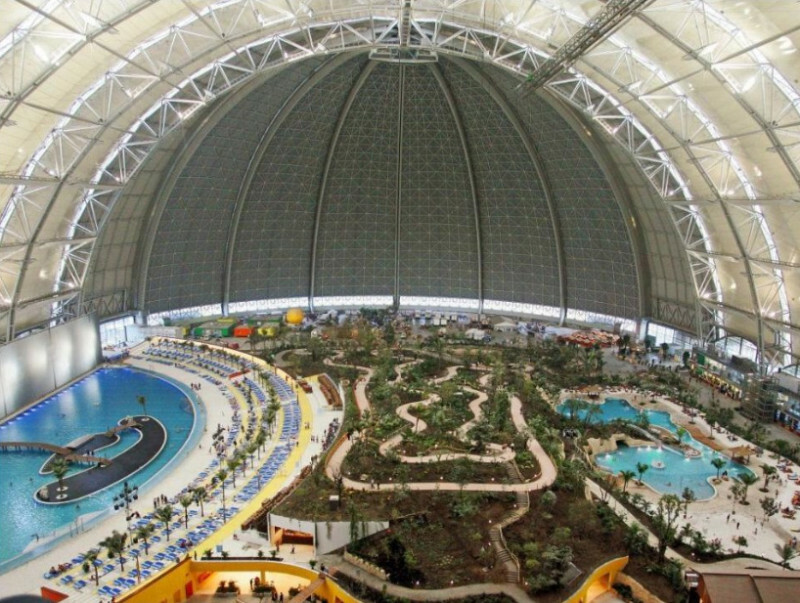 The largest free-standing hall in the world is where Tropical Islands can be found. This structure was originally built as a hangar for dirigibles, and it has a maximum capacity of 6,000 visitors. This particular water park has one of the largest indoor swimming pools in the world, measuring a total of 656 feet or 200 meters in length. There is also a rainforest in a separate area from the pool, and it includes 50,000 different plants as well as a hotel and a nightclub. You can even choose to go on a balloon ride if you want, making for an extra special experience. You will find that Nagashima Spa Land is a water park that truly offers something for every member of the family. This amusement park has a giant Ferris wheel, rides for children, thrill rides, several roller coasters, and a water park. This water park was recently named the 18th most visited amusement park in the world and attracts hundreds of thousands of people every year, some of whom come from all corners of the globe. This very large amusement/water park is home to the Aurora Wheel, which is a giant 90 meter Ferris wheel, and is a very popular tourist attraction. 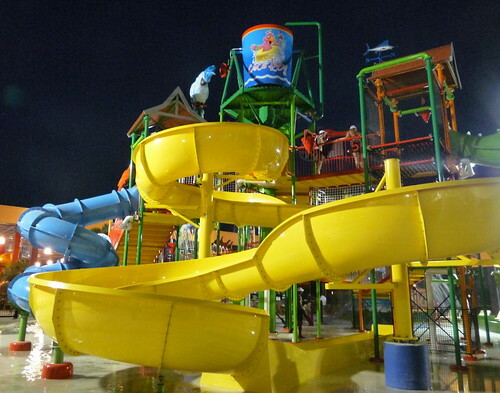 Siam Park City is a very popular amusement and water park located in the Khan Na Yao district of Bangkok. This amusement park opened in November of 1980 and has drawn millions of visitors from all over the world since it first opened its gates. One of the largest theme and water parks in all of Southeast Asia, Siam Park City is set in 120 acres of land and offers a number of different attractions, including the water park, amusement park, museum (with safari section and animal park), event zone, and camp for children. Home to the tallest slide in the world, Shlitterbahn Kansas City Waterpark offers plenty of fun and excitement for every member of the family. This water park has a slide called Verruckt, which takes four riders on a raft down a whopping 15 stores, reaching speeds that go up to 70 mph. If you want to stay a bit closer to the ground, you can choose to go on Torrent River, the world’s largest tidal wave river. 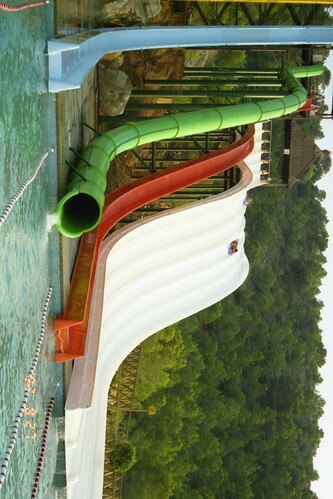 There are some rough seas to travel in this water park as you drift through a canyon for a truly memorable experience. Fun list! I would definitely add Blizzard Beach at Walt Disney World as well. Summit Plummet at Blizzard Beach vies for the title as the highest, steepest and fastest water slide in the world. It is easily the scariest thing in all of Disney World 🙂 It would get my vote over Typhoon Lagoon, but still a great list 🙂 Nice overview. These are some really great pics!! Theme parks are one of the best vacation attractions. You are never more real than when you’re hurtling down a super-steep water slide. You can’t not be yourself. It feels great. I am again planning to visit an amusement park very soon.